The Old Testament is full of sacrifices in which an innocent animal was killed. These were substitutionary sacrifices meaning that the death of the animal was in the place of someone else. Why was there such an emphasis in the Jewish writings? The holiness of God reveals that everyone who has ever lived has sinned. We have all failed to live up to God’s expectation of us. We have “all sinned and come short of the glory of God.” We have failed the test of God for a righteous person. The penalty for breaking the laws of God is separation from Him throughout eternity. We deserve the death penalty. “The wages of sin is death” (Rom. 6:23). “The soul that sins will die” (Ezekiel 18:4). As a consequence of our sins we deserve to spend an eternity in hell. Jesus Christ redeemed us from the law. He chose to die in our place. It was His free volitional choice. We deserved to die and He stepped in and voluntarily chose of His own free will to die in our place. Jesus took our death in His sacrifice for sin. He experienced both physical and spiritual death in our place on the cross as our substitute. Every Easter is a vivid reminder of our sinfulness, and the penalty of our sins was laid on Christ. God conducted the first ever sacrifice for sin. He chose the animals to sacrifice for Adam and Eve, and then He clothed them with the skins of the animals (Gen 3:21). Adam and Eve saw the first death anyone had ever witnessed. God slay the animals and in that event taught man that he deserved to die for His disobedience, and that it was possible for another to die in his place. The animals that were shed for their clothing paid the price of their sin debt. Those coats of animal skins were a constant testimony of the price of sin. The greatest substitutionary sacrifice ever paid for sin was carried out at Calvary when Jesus died on behalf of another. Why Jesus? “For it is impossible for the blood of bulls and goats to take away sin” (Heb. 10:4). Those sacrifices in the Jewish tabernacle were a constant reminder of sin and the wages of sin. 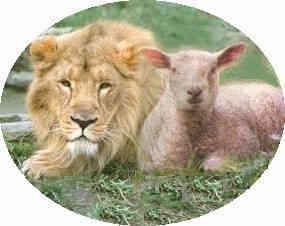 They symbolized that God would one day provide His own Lamb to do what animals could never do. They were a symbol of how man’s sins had to be dealt with, but symbols cannot lift up and take away our sin. Jesus Christ accomplished the only effective sacrifice for sin. His death was a substitutionary sacrifice that accomplished precisely what had to be done to gain our salvation. We deserved to die for our sin, but Jesus Christ chose to die in our place. When Jesus cried out from the cross, “It is finished,” He paid our debt in full. Christ is the “better sacrifice” (Heb. 9:23) because His blood alone cleanses of all sins (1 John 1:6-9). He entered into the presence of God in heaven for us, once for all and offered the perfect sacrifice for sin. He is more valuable than even thousands of animals. “He put away sin by the sacrifice of Himself” (Heb. 9:26). Christ has been offered by God “once to bear the sins of many.” What was impossible for bulls and goats to accomplish Christ did on our behalf. By coming to do the will of God, “We have been sanctified through the one offering of the body of Jesus Christ once for all” (Heb. 10:10). Christ “having offered one sacrifice for sins for all time, sat down at the right hand of God. . . For by one offering He perfected for all time those who are sanctified” (Heb. 10:12-14). Have you accepted the one perfect sacrifice that lifts up and takes away every sin? Have you responded by faith and thanked Him for being your substitute? In His sacrificial death He gives you His life. Believe in His saving death and He will give you eternal life today.